Morrowind is one of the best chapters of the Elder Scroll series, published 15 years ago. The authors considered how they could refresh her – and hugged them with an untraditional idea. They took the whole storyline, a piece of the world, hundreds of characters, and put it in another, recently released game The Elder Scrolls Online. The advantage of this strategy is the advantageous situation for both games. Players will get to the 15-year-old classic and the new game can attract those who have not yet been interested in it. The advantage of The Elder Scrolls Online as a multiplayer (MMO) game is gradual expansion. It started in 2014, and every patch, datadisk or story extension makes it even more interesting. And a fleshy post in the form of Morrowind is a strike for sure, players love her. Elder Scrolls Online (ESO) has gone a long way. It has gained new content, lost barriers (such as monthly fees), and the highest level of scalability is level scalability. Players can come to any region that suits them. What is the opposite approach compared to the game where you will suddenly pop up at the 40th level and you as a beginner on the 5th level have no chance to survive, just have you mistaken the way. ESO is one of the most exciting MMO games today alongside World of Warcraft or Final Fantasy XIV. Morrowind is a classic in a new coat. His introduction into the new world brings change. Visually, the world is richer, there are a few trees, there is a dense forest, flora and fauna are more sophisticated and the old well-known winds are mostly solved. On the other hand, the scenario is dully written, the tale of the loser losing power can take you and you have dozens of hours of bigger and smaller tasks. After 15 years, a new profession has come. Warden is a fighter, healer and protector, is versatile and self-sufficient, a joy to play on the first attempt. And by inserting into ESO, Morrowind has more MMO elements, so you can also enjoy a lot of mutual bits. It is an untraditional way of connecting two games: old and new, but rarely functional. The Elder Scrolls Online has been added with a lot of stuff today, some of which can be bought in special cases. With more and more games, you can get some kind of gaming – usually cosmetic items – by opening some sort of chest, and this trend has been catching up with The Elder Scrolls Online. We can buy Crown Crate named after this premium store now. From these, you can get random, usable and cosmetic stuff, at least four, but up to five, in each case higher in value than the price of each crate. What we do not need is a loot (because we have it or we do not like it), we can switch it to the latest payment tool of The Elder Scrolls Online called the Crown Gems. The content of the boxes will change regularly along a subject and you can find further information on the boxes. ESO-GOLD will add more basic ESO news and tips on an ongoing basis to help you get acquainted with the latest entry in the game. The MMORPG The Elder Scrolls Online has recently received the extensive “Morrowind” expansion and has been returning roller-blading fans to the island of Vvardenfell. Whether the Elder scrolls disciples should enter at the latest, our test reveals. In 2002, the RPG The Elder Scrolls III: Morrowind appeared, and there are quite a few fans who consider The Elder Scrolls adventure to be one of the best in the series. Now all the veterans of the time and, of course, the players who want to enter The Elder Scrolls Online universe, will be able to experience the adventures of that time again. The story is not the same as it was then, but rather a kind of prehistory to the events of the third main part of the series. The starting point of the adventure is a ship, on which the character setting of the game is done. A brief note: We have launched The Elder Scrolls Online with the extension Morrowind for the first time. If you already have a character in The Elders Scrolls Online and then acquire the expansion, skip this step and you will find a letter at the start of the game, where you will receive an invitation to Vvardenfell. In the next 25-30 game hours, you will learn the story of God King Vivec, who needs your help in combating a dangerous disease and its cause. The story is an absolute highlight of the expansion and will fascinate you from the first game hour. Unfortunately, you do not always know in the game which quest you have to take in order to advance the story, so you have to explore and search for some time until you find yourself back on the main path of the story. Some might disturb this, but in a game like Elders Scrolls, as many tasks as possible should be done in order to gain as much experience as possible. Vvardenfell, however, is only an entry into the adventure, as it is up to you to leave the island shortly after the first tasks and return to the mainland Tamriel and experience the main game “The Elders Scrolls Online”. 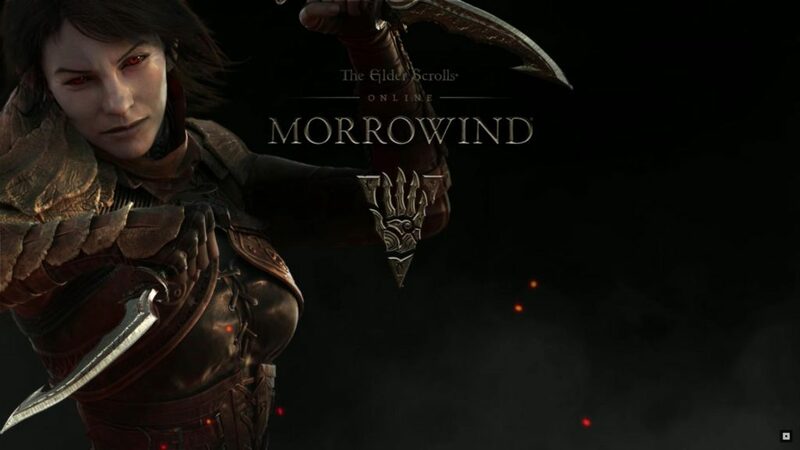 This offers you countless hours of roll-playing fun and we would not like to go into the extent at this point, since this test is only to deal with the Morrowind extension. There is also plenty to do for the inclined Elder Scrolls fan on Vvardenfell. In a serial-like manner from the ego perspective or from the third person, different quests are accepted, equipment and weapons are collected, your character is improved and the story advanced. Unlike other MMORPGs, the Morrowind extension is also very suitable for soloists. So you can cope with the big enemies with some skill and the right equipment alone and is not dependent on other players. The Elder Scrolls Online is and still is an on-line game – and this can also become a problem. You are never alone on the big game world and this can lead to conflicts in some tasks. If several players do the same task, they are already in the way. For example, you’ll get the mission to clear a boss at the end of a cave. If, however, one or more players are able to do the same task, the boss can not be found because he was killed. What may sound funny at the first moment unfortunately disturbs the game flow considerably, since such situations can happen quite often. So you have to move the quest to a different time. If, on the other hand, you get to the quest and other players are currently fighting with the boss, it is enough to hit them at least once to successfully complete the quest. This is not necessarily the case, but leads to success and provides you with points of experience. Also not quite as nice: Away from the battles against some impressive large opponents, the tasks that you get asked, sometimes quite monotonous. These range from simple collection quests through messenger walks to order battles. This quest set is sometimes loosened by smaller puzzle pieces. If you are hoping for a similar variety as in Skyrim, you will probably be somewhat disappointed at this point. Important for an expansion are, in particular, the innovations that should make the game more specifically targeted. In Morrowind a new class was put into play: the Warden. His most important ability is the summoning of large animal companions who can assist him in the fight. In addition, he can summon new spells, so the character is also worthwhile for players who have spent many hours with The Elders Scrolls Online. Also new in the Morrowind expansion are the combat zones, in which players in arenas mutually mutually neatly. In various modes, the team must keep the upper hand in 15-minute battles and be victorious from the field. As rewards are waiting for medals, with which we fight in the online ranking lists upwards. The special flair of Morrowind will also experience players in this expansion. Vvardenfell is a beautifully twisted place with all sorts of The Elder Scrolls fans. One example is the big city, which was already finished in the original game and is still under construction in the expansion of The Elder Scrolls Online. The flora and fauna is the same. The large mushrooms, which partly serve as dwellings and habitats, are just as present, as strange creatures, which are used by the inhabitants of the island as riding animals. In contrast to the original game, there is still a growing vegetation in the area, which is eradicated by the volcano during the years, but the Morrowind of The Elder Scrolls III is well over 700 years in the future. Technically, The Elder Scrolls Online: Morrowind from two different sides. While there is really great music on the ears and the title is excellently tuned – which is also true for the successful voice output – there is visually something to complain about. Here and there, there are quite obvious ruckers and bursts, but it is not clear whether this is due to the Internet connection or the game itself. Smaller bugs and bugs are also present and there is always an authentic collision query missing. This is particularly noticeable when several players want to tackle a task at the same time. In addition, the game itself looks good but also features lovingly designed characters and detailed landscapes. The Elder Scrolls Online: Morrowind is a good entry for those who are completely new to the MMORPG. 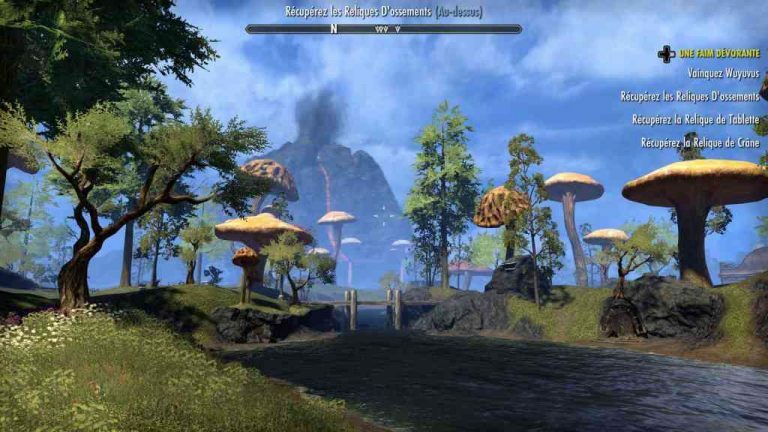 In contrast to other genre representatives, The Elder Scrolls Online: Morrowind offers plenty of possibilities for soloists as well, and above all a successful story that captures the screen for at least 25 hours. If you have then tapped on Vvardenfell, the whole world of Tamriel waits and several hundred play hours are secured. However, no one should expect a second “Skyrim”. Many small things disturb the whole package, such as the partial monotonous quests and technical errors, which are always present in the game. Also the tasks, which one with other players by time overlaps “mutually take away”, can the play flow strongly brake. Rolling game fans still get a successful and super-comprehensive overall package. TESO-veterans, however, no longer have to be convinced anyway – they have already used the word Morrowind anyway.